"A Rose with a Heart!" I still hold it close to my heart. 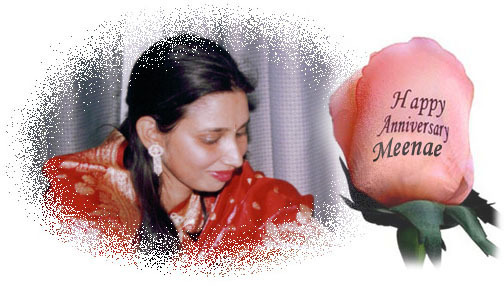 I can still feel the love, the tenderness and the warmth of her lips on each and every petal of the most beautiful personalized rose, my 'First Rose' that my Meenu (my beautiful wife) gifted to me. The day was 11th of May, 2004. 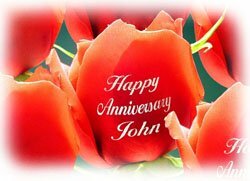 Our first marriage anniversary. Today, as I you read this page, that beautiful rose is exactly days old. But for me, it is as fresh as it was on the day my love gave me with an unforgettable kiss. Ask me how I felt and a chill runs through my spine even today! - that's how I felt that day! 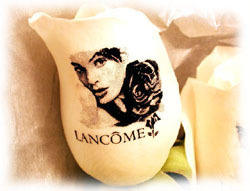 They say "...there's nothing like the first kiss..."
I love to say "...there's nothing like the personalized rose...". And what if the tender petals of the beautiful rose could bear the name of your Love or a touching message for her as if to say "I blossom in this world only for you"!? Sounds Romantic - isn't it? Well, if you wish to see what am I talking (or rather writing) about then please take a moment to see the following images of expression and feel the intensity - yourself. Well, well well...Did I not say you'll be all thrilled to see them? And if YOU are that much excited, just imagine the excitement of your Love when she'll see the height of your feelings for her being expressed by these personalized roses specially and carefully chosen 'only for her'. So, are you still with me? 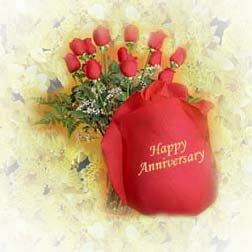 That means that there IS someone really special in your life and you are looking to surprise him/her with your thoughtful gift!... Good! 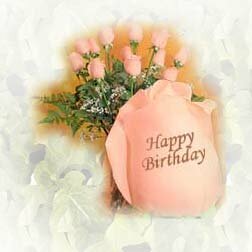 Well, now that you have come this far for your 'real' heart-throb, let us select the 'Special Rose' that you'd like to present or gift to her. But first, let us stop and 'hear' what the roses speak! They speak for YOU....are you listening? Yes, Roses have a language of their own - Language of Love. 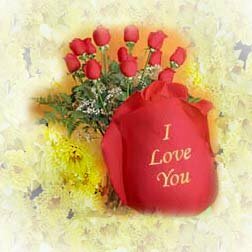 And if they are personalized roses, then not only do they speak but they speak love for you! They say a rose is worth a thousand words and If that is true then why not take their help to let your loved ones know that you love and care for them! 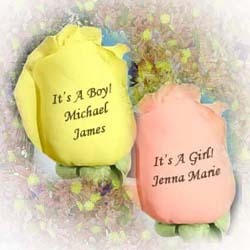 Let your personalized roses speak for you! 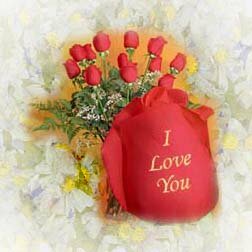 Given below is the classification of all the types of roses and the meaning/moments/events and occasions that they represent. 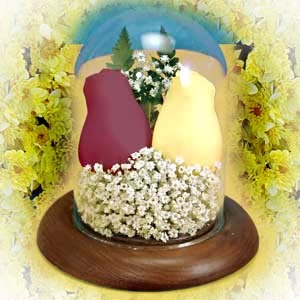 I am sure you would find your flower in it - A rose, that can speak for you - Good Luck! 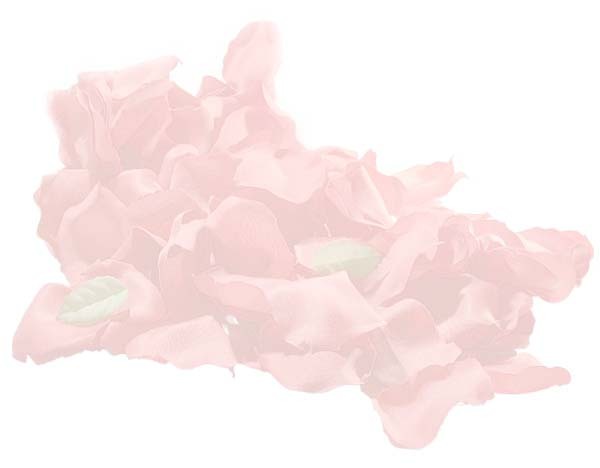 Now all you have to do is select the right type of Rose for your occasion and write in your message that you'd want to embossed on the tender petals of your beautiful Rose....and that's it. 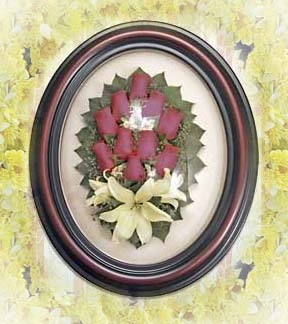 The rest will be taken care of by the company you choose to send this personalized rose from. 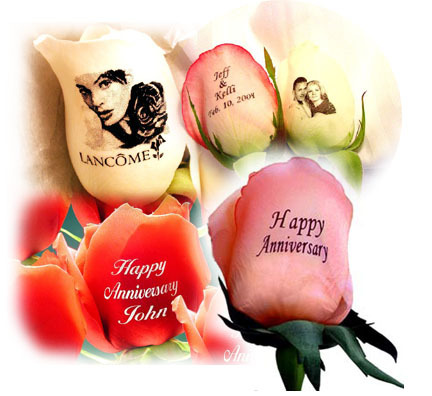 Print your photos on the Rose! 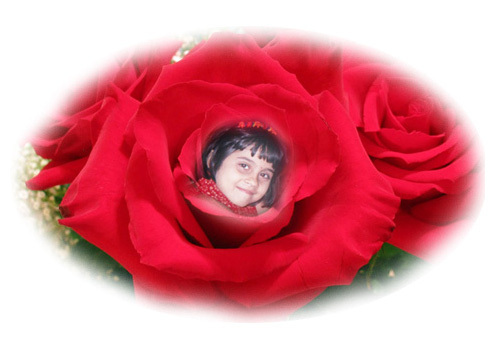 Did I say that you could even print your photos on the Rose? Yes, of course you can! You really can do it. 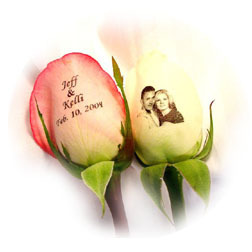 Print a real photo on the petals of a 'real' rose and surprise whoever you sent it to. Never ever in their life would they have received such a wonderful and amazing gift. 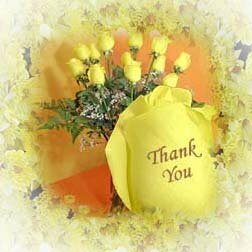 I'm sure by now you'd have already sent in your request for your personalized rose for your Love. If not, I'm sure you'd send it in a moment or two. May every tender petal of the rose you choose, carry your heartfelt love to the ones you love..."
"...I ask you because exactly days ago, I received a Rose, a Beautiful Rose - my 'First Rose' and it still is the best gift that I could ever have received in my entire life..."
I hope all this information that I just shared would help you find your personalized rose for the person you love. If it did, I would like to hear about your experience. If it did not, I would like to know where I failed, if at all I failed. Please click here to write to me. 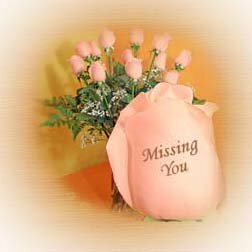 I dedicate this page to my life - my wife - my Meenu. She is the reason that I could write this page. She is the reason I could talk to you today. It was only when she came in my life that I realized that life was meaningless without her, absolutely incomplete.